Have you ever heard "I'm so confused I don't know if I found a rope or lost my horse"? That describes me pretty well this week. 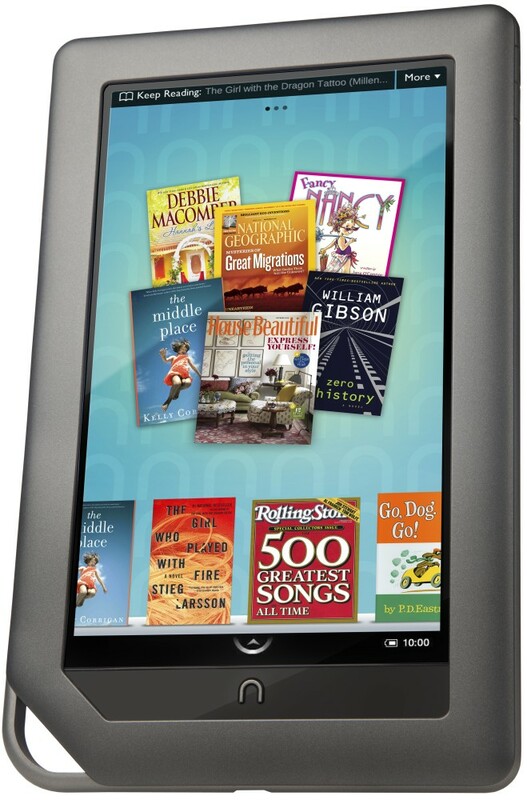 I discovered that all you have to do is give me my very own Nook and I suddenly have the attention span of a gnat. "Oh, shoot. I need to write that blog post!" "Damn! I forgot to thaw the chicken!" "How many times have I started to unpack this box of decorations?" Let's face it. Many domestic chores pale in comparison to perusing the bargain Nook Book bin at Barnes and Noble. I've already compiled a wishlist that no one can look at but me. (Get your show on the road, Barnes and Noble!) I've also downloaded a few goodies from there, joined Net Galley and have downloaded a couple of advanced reading copies from there. One of the things I'm happiest about is finding an excellent source for the backlists of many of my favorite authors. Who knew this would be a perk of owning an eReader? I can hear you from here. Okay, Cathy. We know you can download, but have you actually read anything on your new gizmo yet? Yes, I have! I've read some short stories by Nevada Barr and J.A. Jance, and I've learned that reading my Nook in bed is much preferable to reading a physical book when Denis is trying to sleep. Don't worry though. I have yet to become disenchanted with physical books and am still reading them. Speaking of reading, I'd better get all these links rounded up! Unpacking my library: Six writers and their book-collecting habits. After reading The Poisoner's Handbook, I wasn't shocked at hearing a new theory on the death of Jane Austen. Borders liquidators get a bonus by auctioning off George Harrison's guitar. Speaking of Borders... The End of Borders and the Future of Books. More and more retailers are opening Thanksgiving Day, and customers are protesting. Does the cynical part of me believe they'll really stay away? It looks as though readers in the UK may be getting a new book swapping site in the future. Because I'm a lifelong fan-- The Rockford Style, about James Garner. 11 drinks to pair with your favorite books. Top 10 funny books with pictures. The Original Titles of 15 Classic Novels. 45 Beautifully Designed Book Covers. The In the Library perfume collection. How about an umbrella covered with a design of colorful stacks of books? Booksellers share best practices for promoting eBooks. eBooks just may cause the return of the serial novel. Penguin Shorts will be launching in the UK December 1. If you're in the mood for a very funny mystery featuring a waitress in small town South Dakota, I highly recommend the first in the Tory Bauer series, Funeral Food-- only $2.99. The entire series is one of my keepers! That's it for this week! I hope I managed to round up one or two that tickled your fancy. 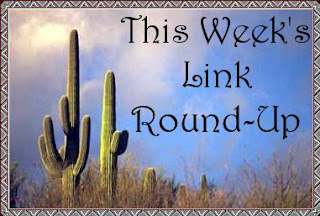 Don't forget to stop by next weekend when I'll have a freshly selected batch of links for your surfing pleasure! 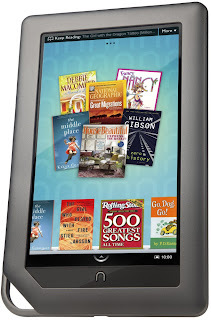 Cathy - I've been thinking for quite some time about getting an e-reader such as a Nook or a Kindle. And forgetting to plan dinner is definitely one of the risks of having one ;-). Glad you're enjoying the Nook. Margot-- I have to admit that I'm looking forward to our next trip to Bisbee and not packing a big bag of books. You sound like my husband - he said his productivity plummeted when he got a new iPhone. Kathy-- It might be wearing off. I hooked it up to charge last night and I haven't touched it since!